Inside view of USFWS R3 Regional Distribution Unit main cab showing Aerator amp gauges for each 1200 gallon tank. Also oxygen low pressure alarm. 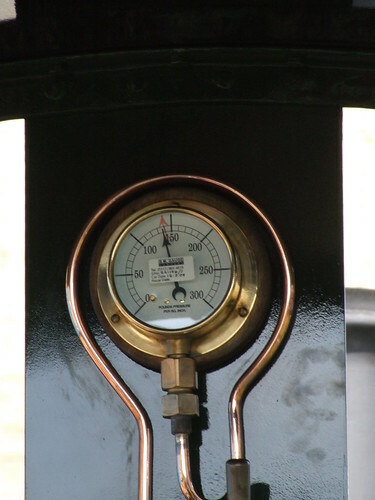 Kew Bridge Steam museums new Locomotive "Wren" is ready to depart. 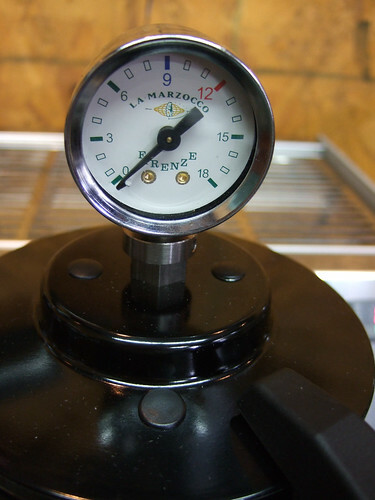 The long loop of tube leading to the gauge is designed to prevent condensed water entering the instrument itself.